Jamesbury high performance butterfly and ball valves have over 2,000 installations in some of the nuclear power industry’s most critical application. The wafer sphere bidirectional resilient seated butterfly valve and flexible lip seal ball valve designs provide enhanced performance and extended life cycle, using diverse materials of construction. In 1996, Enertech and Jamesbury formed an exclusive partnership in an effort to continue to provide the nuclear power industry with Commercial, Safety-Related, and ASME Section III valves and spare parts. Under this agreement, Enertech is responsible for the design, fabrication, testing, and certification of safety-related valves using its 10CFR50 Appendix B program and ASME N and NPT Stamps. One of Jamesbury most popular designs, the 8000 Series High Performance Butterfly Valve (HPBFV), has operated in commercial, Safety-Related, and ASME Code Section III nuclear applications for over three decades. Over this period, Jamesbury has made a variety of improvements to the valve design in an effort to reduce maintenance and improve component reliability. Through these enhancements, the Jamesbury 815/830 series HPBFV was born as a replacement for the original 8000 series valve, which became obsolete in the early 1990s. This butterfly valve incorporates new design features that improve reliability and performance and reduce overall operating costs. 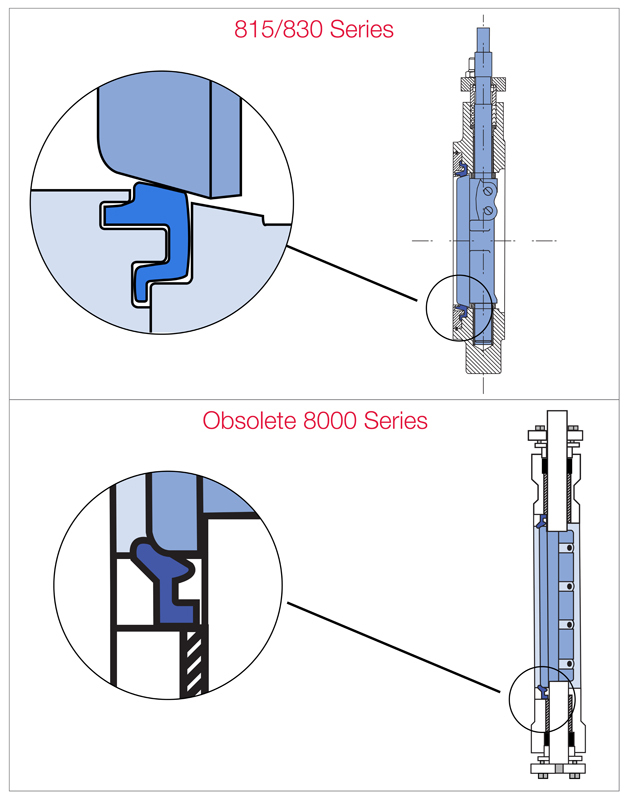 To eliminate unnecessary modification costs, the 815/830 series can be made available as a drop-in-replacement for 8000 series installations. The 815/830 series incorporates several key design features that improve reliability and reduce operating costs. 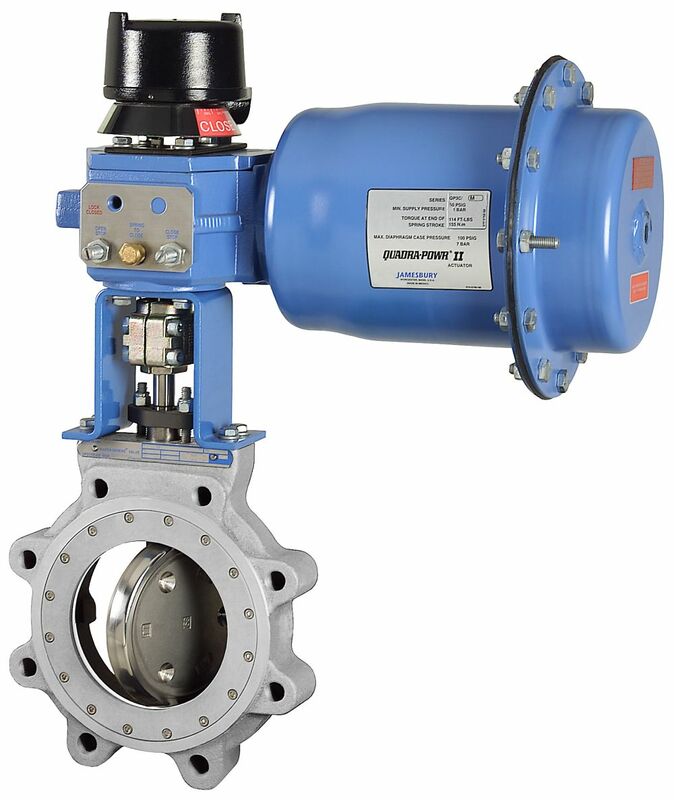 Through design enhancements, the obsolete Jamesbury 8000 Series wafer-sphere butterfly valve has been replaced with the advanced design 815/830 series. 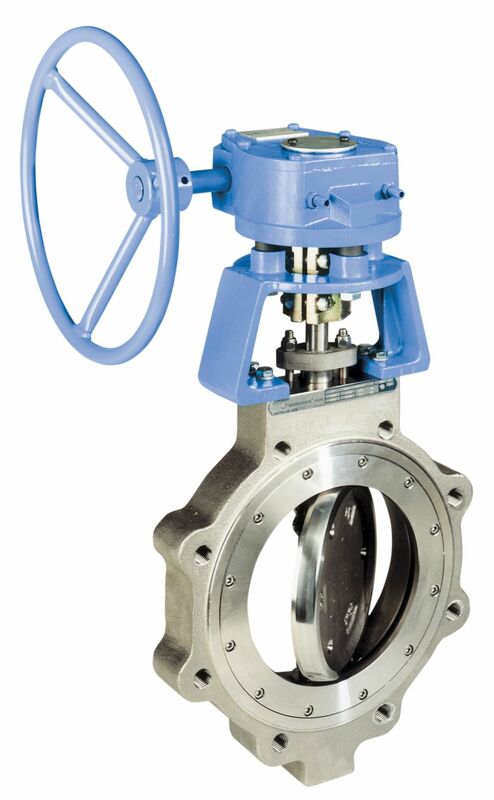 Jamesbury's wafer-sphere high-performance butterfly valves provide long-lasting tight shutoff capability, excellent flow characteristics, and long service life. The wafer-sphere high-performance double-offset butterfly valves for tight isolation and control application may be operated by any type of quarter-turn operators such as manual, pneumatic, hydraulic, electric and electro-hydraulic operators. 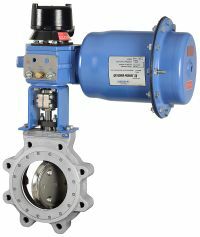 The Jamesbury valve is a bi-directional design with tight shut-off in either direction. However, the valve performs best with the flow directed into the valve body insert. No additional o-rings or metal parts are needed to maintain seat tightness. The valve is designed with an offset shaft and eccentric disc that prevents any seat/disc contact in the open or intermediate position. Size: 815W (Class 150 Wafer-Body Design) 2-1/2" - 30"
815L (Class 150 Single-Flange Design) 2-1/2" - 60"
830W (Class 300 Wafer-Body Design) 3"- 30"
830L (Class 300 Single-Flange Design) 3" - 30"